The Makeup Gods were definitely with me when my co-worker told me to run, not walk, to the Real Canadian Superstore. She said that there was some sort of sale going on, where there were a bunch of bins filled with makeup, for really cheap, but it was only happening for another 10 minutes. 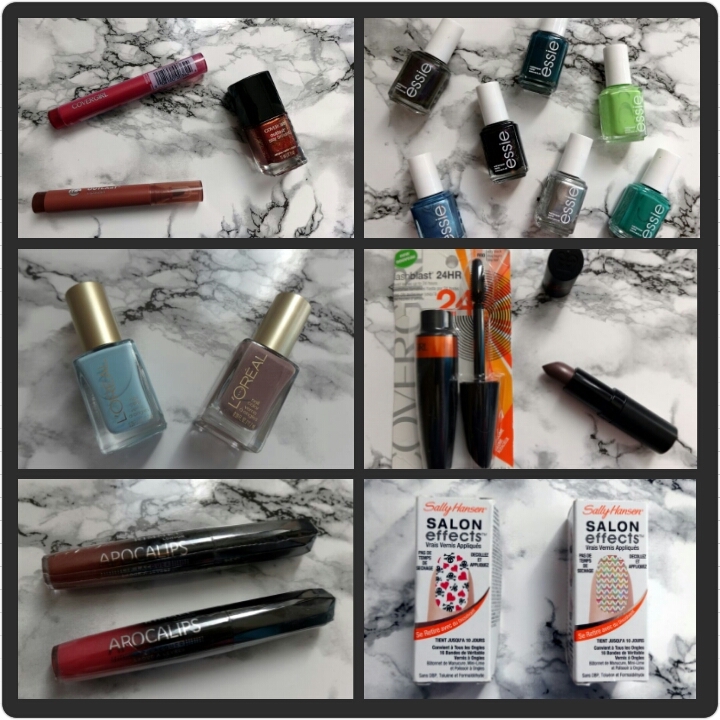 I assumed that the bins would be filled with partially opened/slightly damaged products, but I went anyway. I walked into the Superstore, and saw a shelf, with a bunch of people crowded around it. It was some sort of flash sale where for one hour, everything in the bins was 94¢ each. I arrived with only 5 minutes left, so I had to make some fast decisions. IT. WAS. THRILLING. Here’s what made it into my bag. 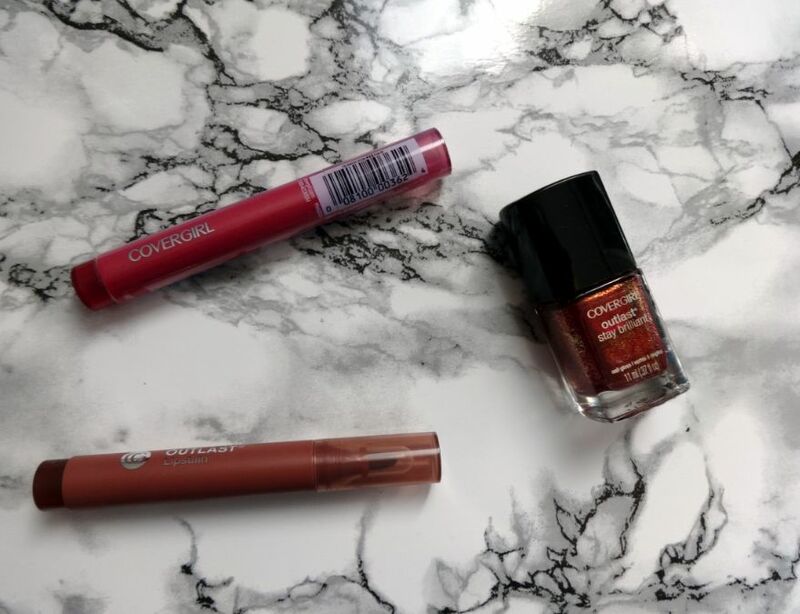 Covergirl Outlast Lipstain ‘Plum Pout’, & ‘Cinnamon Smile’, Covergirl Outlast Nail Polish ‘Inferno’. 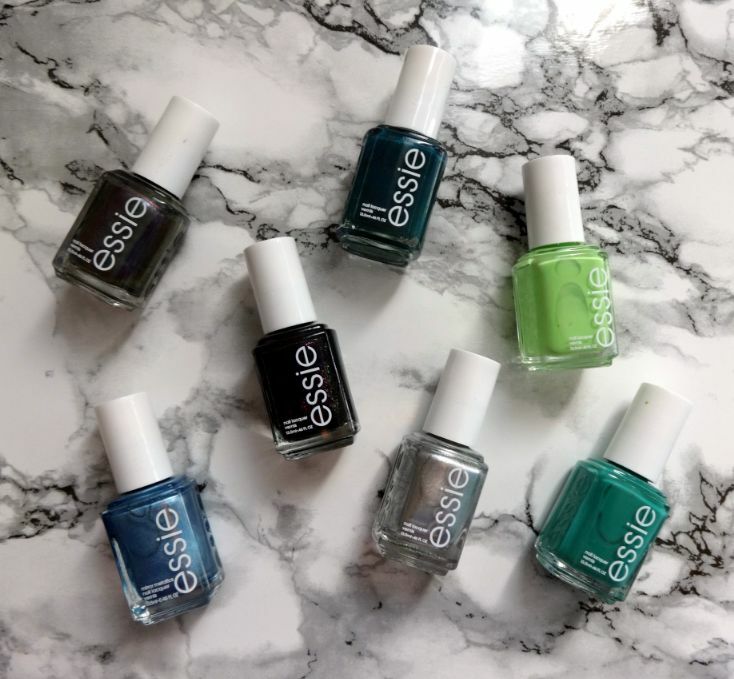 Essie Nail Polish ‘Haute Tub’, ‘Melody Maker’, ‘Vibrant Vibes’, ‘Blue Rhapsody’, ‘For The Twill Of It’, ‘Go Overboard’, Apres-Chic’. 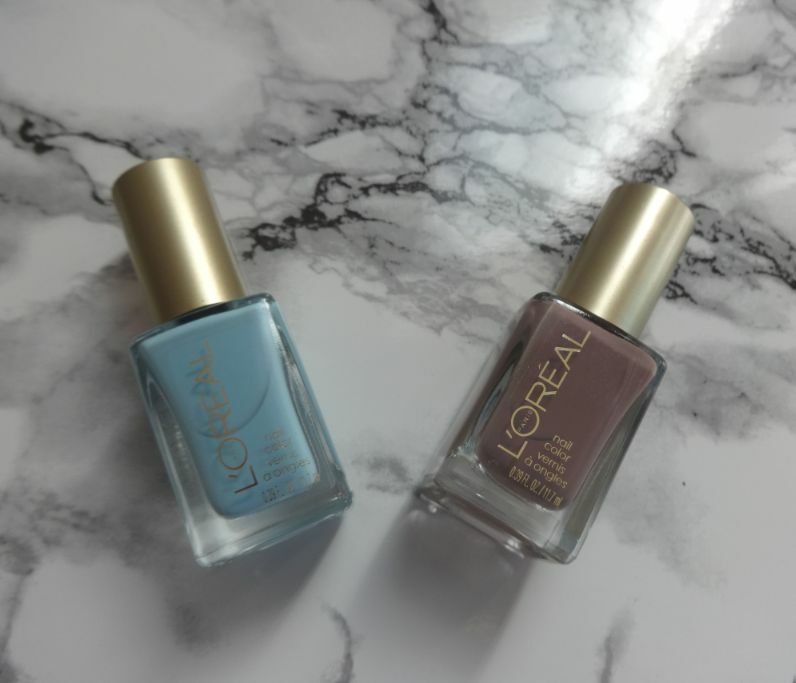 L’Oreal Nail Polish ‘Wispy Clouds’, ‘Greyt Expectations’. 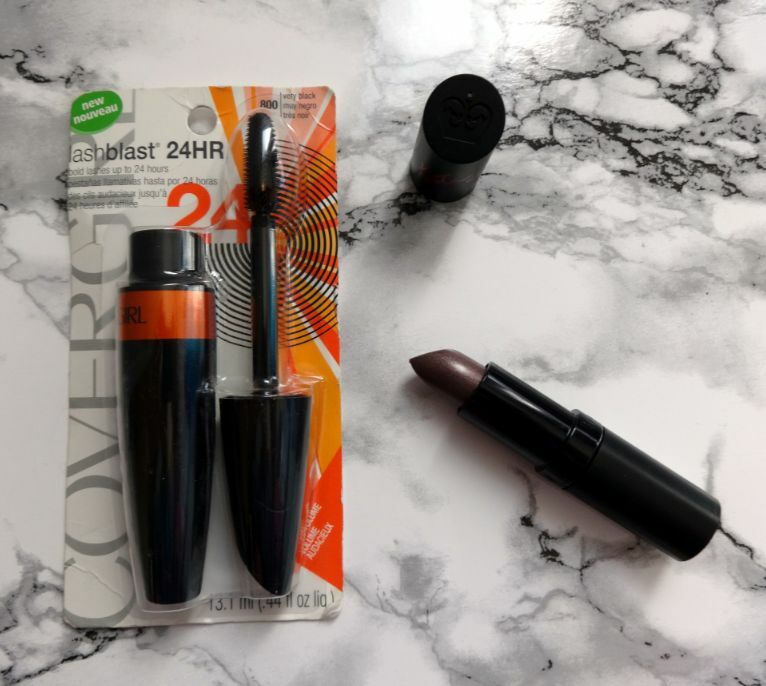 Covergirl LashBlast 24 Hour Mascara ‘Very Black’, Rimmel Kate ’15’. 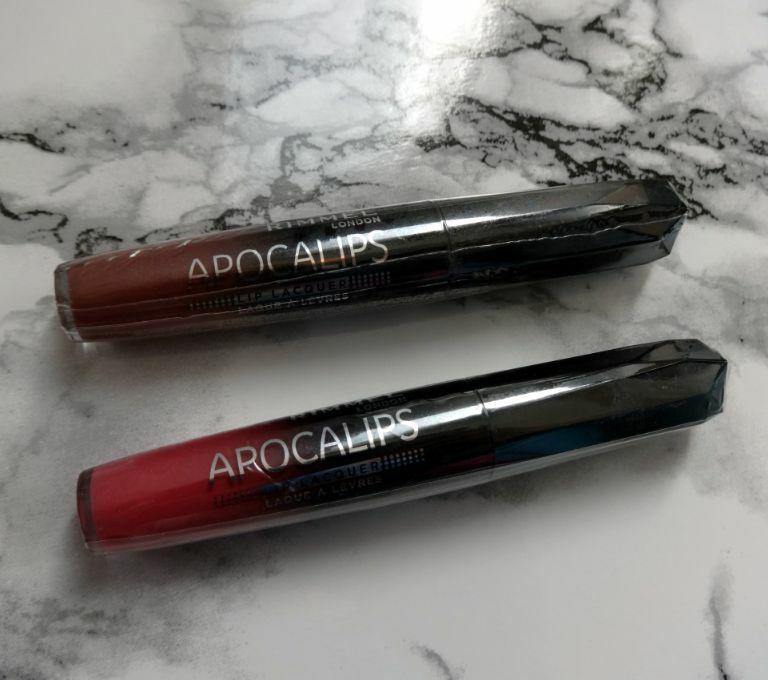 Rimmel Apocalips Lip Lacquer ‘Light Year’, ‘Nova’. 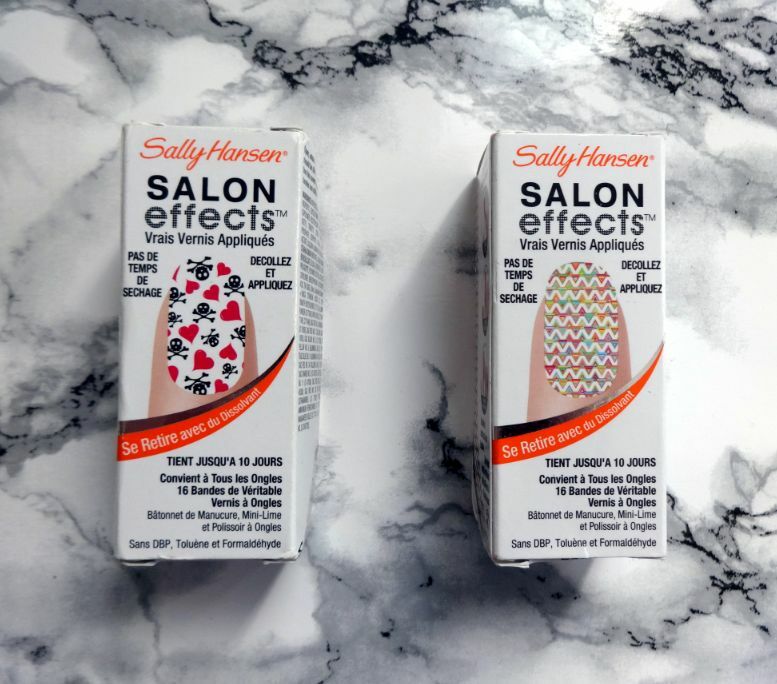 Sally Hansen Salon Effects ‘Heart Breaker’, ‘Out Of Line’.